Elevated levels of lead were found in Hudson County drinking water. For Hudson County residents, it might be time to think twice before turning on the faucet. 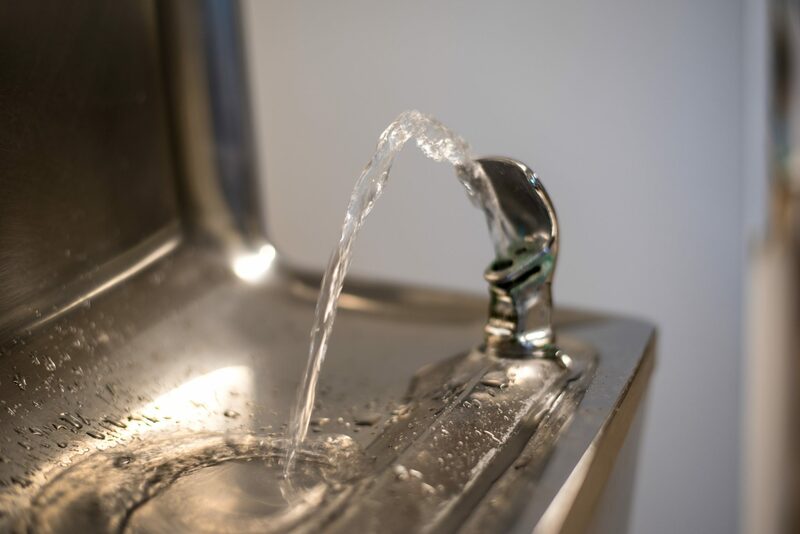 The New Jersey chapter of SUEZ Water Company made an announcement that elevated lead levels were found in the water supply of customers connected to its service line. Sixteen out of the 108 service lines SUEZ inspected showed elevated lead levels. SUEZ is offering free water testing, but only to customers connected to a service line, with lead, that the company owns. It will provide a water filter to homes that test above the government standard. Affected lines are connected to the company’s water treatment plant in Haworth. This plant services dozens of municipalities in Hudson and Bergen counties, including North Bergen, West New York, Union City, and Weehawken. Water supplies contaminated with lead are almost always attributed to older lead pipes and fixtures, which were installed without sufficient corrosion treatment. Lead leaches into the water from corroded pipes, but is rarely traced back to source water. According to state law, the EPA must determine the level of lead in water which is likely to cause adverse health effects. The EPA determined the “actionable level” to be 15 ppb (parts per billion). The EPA reports, however, that its maximum contaminant goal is zero, because lead can accumulate in blood even at low exposure levels. The SUEZ release linked the contamination to pipes that are either owned privately or by municipalities, external to the SUEZ-owned system. Only 108 homes of the 800,000 New Jersey customers serviced by SUEZ have been tested; the magnitude of the problem hasn’t been determined. An EPA report reveals that children and pregnant women face the greatest risk of adverse health effects from elevated levels of lead in their blood. The federal government banned the use of lead in plumbing in 1986; New Jersey’s Department of Health did the same in 1987. The Department of Health declared homes built prior to 1986 as more likely to have lead plumbing. The DEP also estimates that 20 percent of lead exposure comes from contaminated drinking water. In New Jersey, law mandates that children get blood tests for lead at the ages of 6 months, 26 months, and once more between the ages of 3 and 6 years, for a Department of Environmental Protection(DEP) analysis. The most recent report was published in 2016, and included only large municipalities, so results for Weehawken are not included. In that report, 50.2 percent of children under six years old in Hudson County were tested. 8,674 of those children tested positive for detectable Blood Lead Level (BLL) content. Hundreds of children under 6 years old tested positive in the North Hudson area; in North Bergen, 627; in Union City, 785; in West New York, 729. According to the DEP report, grant funding from the Centers for Disease Control and Prevention for lead mitigation has decreased more than 50 percent since 2009. The EPA said in its report that steps can be taken to reduce lead exposure to drinking water at home. However, these actions are not guaranteed to eliminate lead content entirely. The EPA advises getting your water supply tested. In its recent release, Suez reported that it will provide water testing, but only to customers served by a lead line the company owns. Certified plumbers can also evaluate whether you have lead pipes or fixtures in your home that should be replaced. The same report also advises to flush your pipes before drinking water, and to use only cold water for drinking or cooking. If you are a Suez customer in Hudson County, you can find out if the company is servicing you via a lead line and request inspection to determine the level of lead in your water. This can be determined by entering your water account number and location information at https://www.mysuezwater.com/NJWQ. The SUEZ call center can be reached at 1-800-422-5987 or by email at sueznjcustserv@suez-na.com.